They suggested keeping pygmy goats with bells around their necks, as a companion pet to your chickens - in their pen. Because they scare off dogs, coyotes, racoons, and other predators. This has been effective at keeping all their chickens alive for more than a year. So that's not too bad - if you can manage it on your farm or property. After publishing that tip I got several readers commenting that goats (dairy goats specifically) may not mix well with chickens. And they may not protect your flock as well as you think. 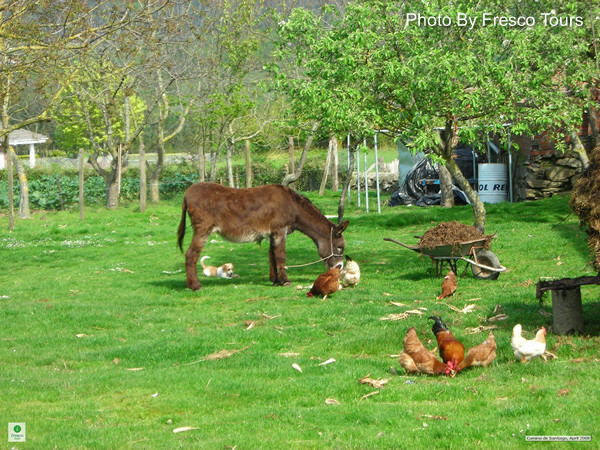 One reader proposed trying a donkey instead, based on some success her friends had using one. It seems donkeys might be a better deterrent to predators in some situations. We keep a rabbit with our chickens. I don’t know about protecting them but they sure are fun to watch together. The bunny definitely ‘rules the roost’.